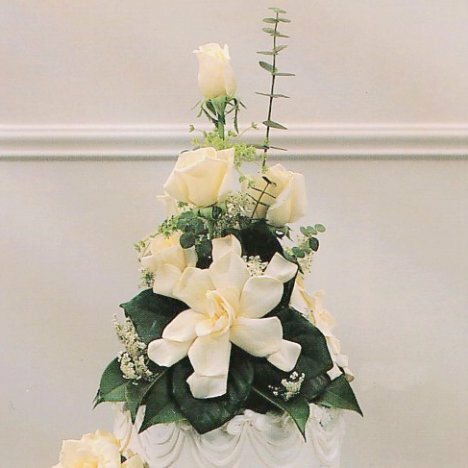 A gardenia wedding cake has an old fashioned elegance of times gone by. Gardenias have a lovely fragrance that lingers. They have to be treated gently during storage by wetting a napkin and covering the petals while in refrigeration. 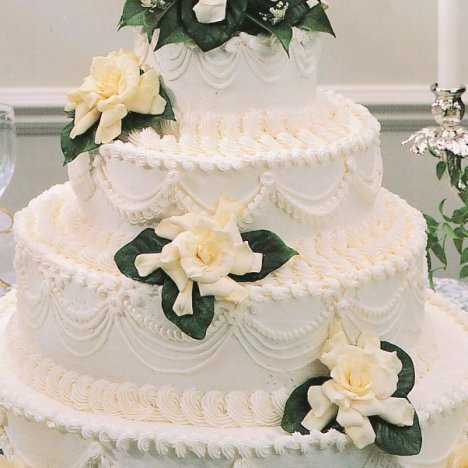 Gardenia's do not have stems, so you must either wire them and tape a stem or glue in a toothpick to the back for an insertion into the cake. 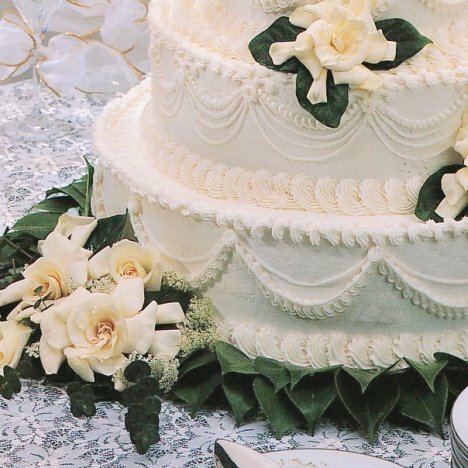 In order to keep from contaminating the cake, you should cut either wax paper or parchment paper to shield the icing from the back of the flower heads. Iglus come in two different sizes, regular and Grande. What size you need depends on how many flowers are in the design. 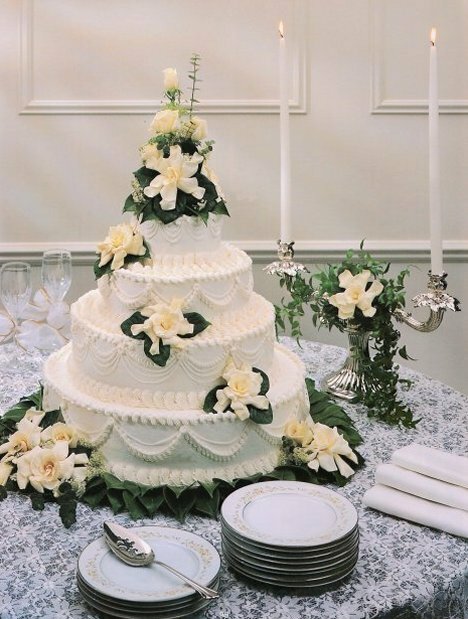 Gardenias have no stems, so the wire stems are slender enough to only need the regular Iglu. I do have a step by step tutorial on how to green up an Oasis Iglu. 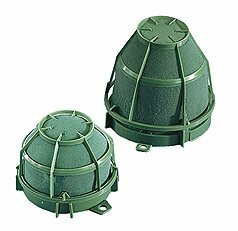 These handy little cages filled with florist foam can be used in so many different ways. Once the Iglu is greened in, it's simply a matter of flowering in with the roses and gardenias. 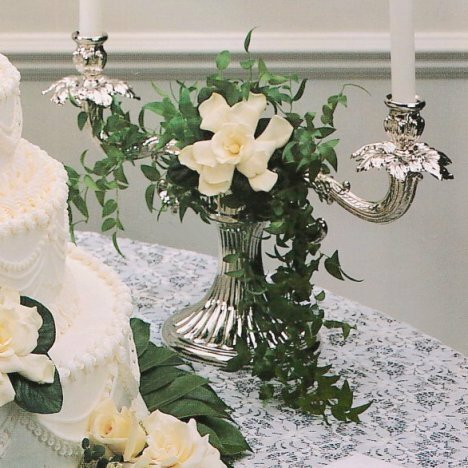 A matching candelabra features Italian Ruscus and a single gardenia on an Oasis mini deco.